I hope you have had an amazing week! We sure have! 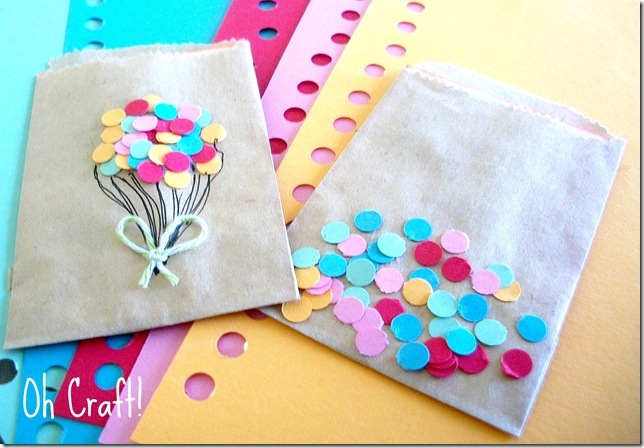 Your fabulous projects have been so much fun to look at! As always, we are just so thankful for your friendship and for linking up all of your beautiful creations. You are one talented and inspiring group of ladies! This sunburst mirror from Decorating Cents is just stunning! I love this painted flower container from Refresh Restyle! Spray paint really transformed on this one! 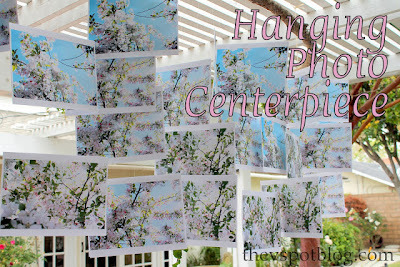 This hanging photo centerpiece that The V Spot made for her Mother’s Day brunch was stunning. It is even hanging from a branch! Have a special graduate in your life? Check out this gift idea from Mer-ish. So thoughtful! These are the sweetest little gift bags from Oh Craft! Domestic Imperfection stenciled this gorgeous paisley and turquoise table. Love! 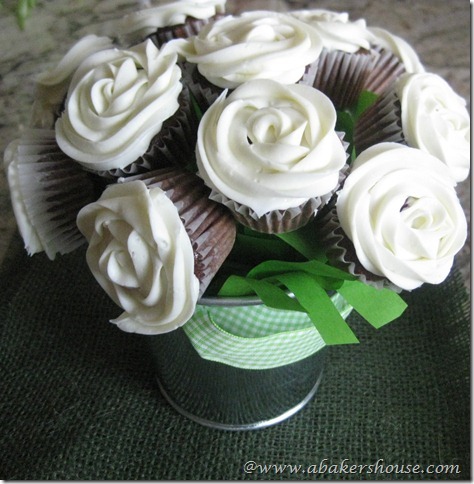 How beautiful is this cupcake bouquet from A Baker’s House?! May have to snag this idea! 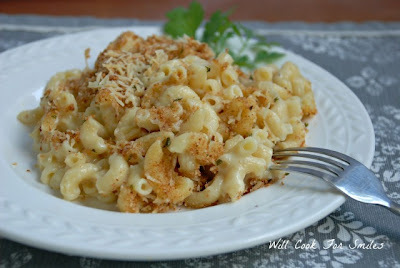 Finally, comfort food just got a little lighter with Inspired By Family Magazine’s white baked mac ‘n cheese. A big and “thank you” to each of you who linked up! If you were featured, please grab a featured button off our sidebar to display on your blog! I finally have some posts to link up to your party! Thanks so much for hosting! 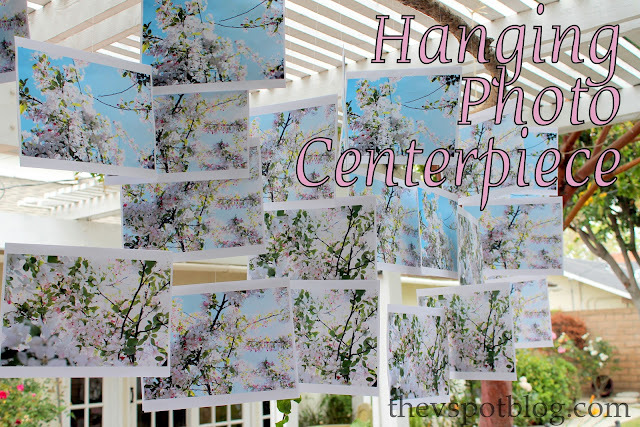 Great features – especially loving The V Spots hanging centerpiece! I am seriously loving me some features! Thanks for another great party! Thank you for hosting! I always love to be here on Tuesday evening. Hey girls! Thanks for hosting! I am looking forward to looking through all of the link ups. So glad to be back to your party! I love all the fun things here! Thanks for hosting and have a wonderful week. Yay! Flattered for the feature! Thanks again for hosting a fabulous party. 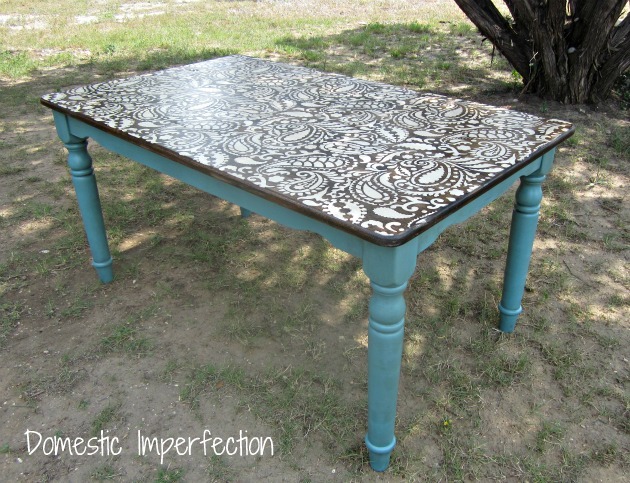 Love, love, love the table and mirror!! Thanks for hosting Bonnnie and Trish! Have a great week! Thanks so much for hosting such a FUN party each week. Oh happy day! Hugs!! Fun features this week! I especially like the cupcake bouquet. I made one years ago for a friends’s get together. They are super easy to make! And fun! Hey ladies! Great party! So happy to share with you all! Love love these features! 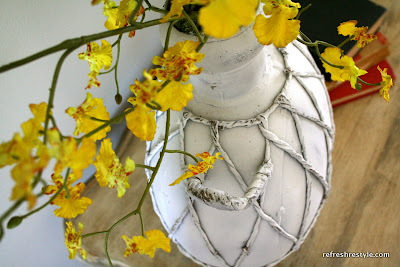 And already found several awesome link ups and new blogs! Thanks so much for hosting! Glad I found your blog! I’m all linked up and your newest RSS follower! Thanks for hosting, ladies! Haven’t had time to link up in the last couple of weeks, so linking up a few things 🙂 Have a great day!! What a great surprise. thanks for featuring my graduate project. love the link party. This is Melissa @ daisymaebelle.com. Thanks so much for the Facebook feature for my old rake plant holder!!! I love your link party!! !